Back in September, I wrote the ultimate guide to travel hacking. It was a way for me to share tips and advice on how to travel cheaply without sacrificing comfort. And as I watched people’s reactions and answered questions about that guide, I hit upon an idea. It’s one thing to say, “Hey, this stuff works,” but it’s another to actually show that this stuff works. I decided that as I hopped, skipped, and jumped around the world, I was going to take what people view as “expensive” places and demonstrate how they can be visited on a budget—without sacrificing comfort. The first city on my list is London. I came here for a 10-day trip for a travel conference, and it’s the perfect place to start my series with. London is notorious for being one of the most expensive places in the world to visit. No one goes to London under the assumption they aren’t going to spend a lot of money. And that’s why London is a perfect first place to do this. Because if you can travel hack London, you can travel hack anywhere. Using my own travel hacking tips, 10 days in London only cost me 481.21 GBP or $710 USD. That works out to be roughly $70 USD per day. And that’s not just my day-to-day expenses. That includes EVERYTHING—my flight to London, my hotel, transportation, food, drinking, and attractions. 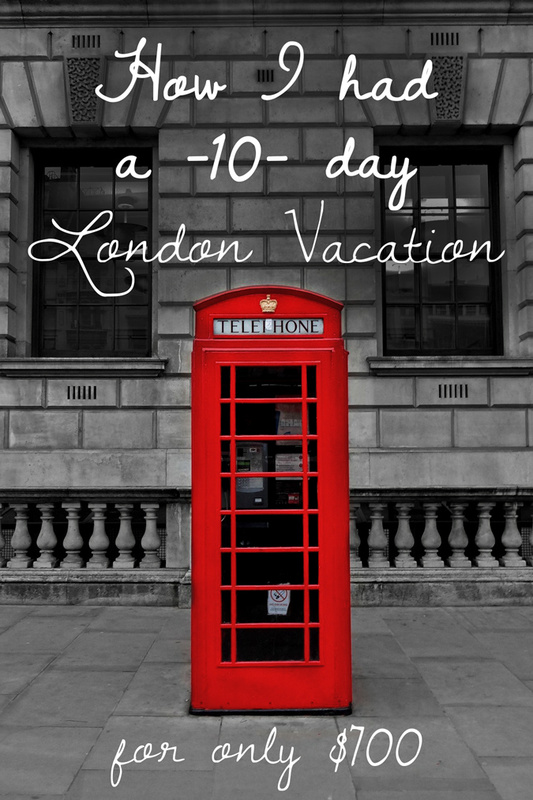 Think about that for a second: I had a 10-day vacation in London for $700 USD thatincluded airfare. When was the last time you went to Europe for that little money? When was the last time any big international trip cost that kind of money? Before I explain how I did it, I want to take a second to explain some of the ground rules I laid out for myself. I didn’t backpack London. My goal was to show the budget travelers of the world—the two-week holiday-makers—that you can do London on the cheap without being a backpacker. That saving money isn’t all dorm rooms, Couchsurfing, and eating pasta. I wouldn’t stay in hostels. I wanted to stay in nice accommodation to prove that even a hotel stay can be cheap. I had to eat a few nice meals. When you go on holiday, you want to eat nice food, so I agreed that I would have at least two really nice meals in London. I couldn’t say “no” because it was expensive. Many backpackers skip sightseeing because of the cost but I wanted to do all the normal sightseeing activities regular tourists do. You don’t go on a short vacation to not sightsee right? Flight: I used my American Airlines frequent flier miles to pay for my flight. A round-trip ticket from Boston to London cost me 60,000 miles, plus a service charge of $165.10 in taxes and fees. The miles I used were “anytime miles,” but American Airlines also offers “OffPeak Miles” (off-season really), and you can actually fly to London for as little as 40,000 miles round-trip. I’m a frequent flier, so I can generate a lot of miles per year. I normally fly about 40,000 to 50,000 miles per year, which, compared to most travel writers, is pretty low. But I’ve written extensively on how to get miles for free. I sign up for bonus credit cards, sign up for deals, use preferred merchants, and sign up for every contest that gives extra miles. All told, I’ve accumulated over 400,000 frequent flier miles with American Airlines alone through these methods. Sign up for a branded airline credit card: Whether you love Delta or fly United and the Star Alliance, all US carriers have a branded travel credit card that gives you 25,000–30,000 points when you sign up and make one purchase. That’s a free economy ticket right there. Airline credit cards are the best way to kick-start your mileage balance. They often offer huge sign-up bonuses. For a while, American Airlines gave you 75,000 miles when you got their branded credit card. Virgin Atlantic has offered 50,000. United has done 40,000. 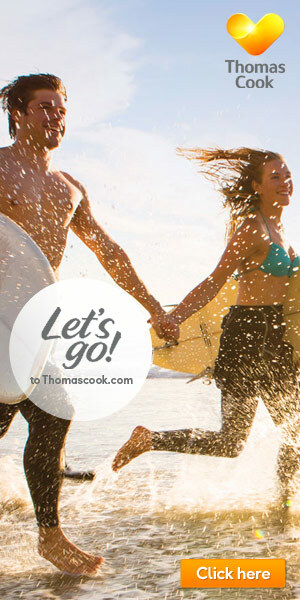 The quickest and best way to gain a lot of free miles is to get one of thesetravel credit cards. Watch out for special promotions: I sign up for all airline mailing lists. I always watch out for special two-for-one mile deals. Or when they have special card offers to earn extra miles. American Airlines just gave me 1,000 miles for watching a demo on their new shopping toolbar. I once got 5,000 miles for joining Netflix. Often times you get miles for filling out surveys or they’ll give you a 100% bonus on purchasing miles. Promotions help a bit at a time, and airlines seem to always be offering them. Utilizing promotions over the course of a few months can yield big results. Sign up for a non-airline credit card: Sign up for a non-airline credit card like aStarwood American Express card, and you can get 25,000 sign-up points. When you convert 20,000 points into miles, you get a 5,000-mile bonus. I highly recommend signing up for this card too but signing up for any “points” card like the AMEX travel card or a Capital One card will do. Afterwards, you can transfer your sign-up bonus points to the airline you use and redeem them for flights. For all of these methods, the bonus points take about six to eight weeks to post from the time you sign up for a credit card. If you want, sign up for my free newsletter—I always post the best mile bonuses on it. Or read Boarding Area, which features all mileage bonuses big and small. Note: Readers of my blog know I’ve been in Europe for a long time. However, I also went home to Boston in September on a round-trip flight from London. I’m using that flight as the basis for this article. Accommodation: I had hoped that by the time I went to London, my Marriott or Starwood points would credit to my account. Marriott is offering a new card with Chase that got me 70,000 points plus one free stay for signing up and after the first use. I jumped on this deal, but the points took too long to place into my account. On the plus side, I now have 70,000 points and a free night at a Marriott for future use. A few months ago, Starwood hotels offered a 60,000 points bonus. I signed up but forgot to use the card quickly enough, and by the time I remembered, it was too late for this trip. Since my points didn’t get credited in time, I used more American Airlines miles for this. 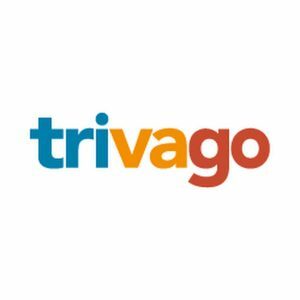 I used 68,000 points plus $25 USD for five nights of accommodation in a four-star hotel. I stayed in a hotel near Hyde Park, a very well-to-do neighborhood in London. Now, while you can use airline miles for vacations and hotels, you never get as good of a point conversion as you do with flights. Five nights using hotel points would have cost me just 50,000 points. The point here, though, is that by signing up for a branded hotel card, you can use those points to get free hotel stays for your next vacation. Or you can use the bonuses from an airline. Either way, getting free hotel rooms isn’t that hard. For the other four nights I was London, I used Wimdu, an apartment rental company. While I normally like hostels, I wanted some peace and quiet as well as a kitchen while in London. The room cost 150 GBP ($238 USD) for four nights. Regarding all these credit cards: while you may get a small short-term ding opening lots of credit cards in a short time, over the long term your credit will be fine so long as you pay off all your cards at the end of the month. Even after opening all these credit cards, I still have a score of about 800. 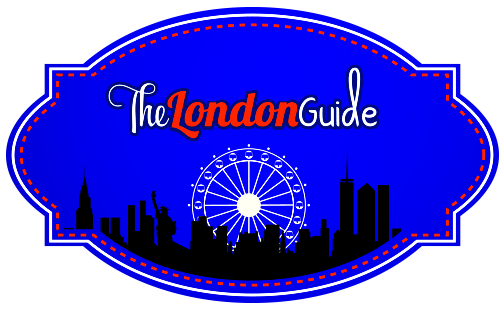 Attractions: London is great for sightseeing because so much is free here. It makes sightseeing on a budget really easy. The best museums—British Library, British Museum, National Gallery, Natural History Museum, Museum of London (just to name a few)—are all free. Hyde Park? Free. Kensington Gardens? Free. It’s easy to fill a few days with sightseeing in London without ever spending a penny. Without this pass, the same attractions would have cost me 104.55 GBP. I saved 50% by using the London Pass, and I didn’t even use it for everything it offers. This is why in so many of my posts about various cities, I stress getting a city pass if you plan to do a lot of museums and tours. You can save a lot of money by doing so. It’s one of the best budget travel tips out there and is all too often overlooked. I spent 9.11 GBP on groceries, including bread, sandwich meat, vegetables, and pasta. This was enough for three dinners and three lunches. My hotels and serviced apartment provided breakfast, though I did go out for McDonald’s one morning. I just love those hash browns. The rest was spent on dining out. I got pizza one day, went out for good Thai food for one dinner, had great Indian one night, ate typical fish and chips the next, had a few Starbucks green teas, and ate tons of kebabs. They’re everywhere in London. According to my friends, you’re a true Londoner if you’re dining on kebabs, especially if it’s after a night out. As I said, I didn’t want to skimp on meals. I ate how and when I wanted to. I did look for deals, though, as any good budget traveler knows that good food doesn’t have to be expensive. In London, I found the best way to eat out on a budget was to look for lunch specials. Most restaurants I came across had lunch specials, and many pizza places offered a “buy one, get one free” deal on takeaway. Another great way to save money is to get the Taste Card. This diner’s club card offers 50% discounts on thousands of restaurants as well as two-for-one specials. It can really pay off, especially on those nice meals you’ll want to have. You can only live on fish and chips for so long. Transportation: My London Pass covered public transportation for the two days it was valid. And since cabs in London are notoriously expensive even by London standards, I refrained from taking them. Had I fallen into the trap that most people do of booking a “normal vacation,” this London trip would have cost me three times as much. Currently, the average price of a decently rated three- to four-star hotel in central London is 70 to 100 ($111 to 158 USD) GBP per night. For my nine-night trip, that adds up to around $1,000 USD as I would have gone with the cheapest. Had I refrained from cooking, I probably would have added about another 70 GBP ($111 USD) on dining out, knowing my eating habits. If you add up all of that plus my transport and food, I would have spent around $2,000 USD. By traveling hacking and using reward points efficiently, I spent 10 days in London for less than the current price of a flight to London, saving myself $1,300 USD! Think about that. I saved 66% off the cost of a normal vacation, and I didn’t skimp on anything. I just traveled smart, used reward systems, and employed everyday frugality to my advantage. I stayed in nice places, dined out well, and saw all the attractions I wanted. I didn’t sacrifice comfort. One the most important points I wanted to get across with this trip was to show people that cheap travel doesn’t mean bad travel. I wanted to take a vacation to London that my parents or friends—people who wouldn’t be caught dead sleeping in 15-bed dorms to save money—could take. I wanted to travel cheaply without sacrificing comfort. And I did just that. “Travel hacking” might not be the best phrase in the world, but the principles behind it are simple and easy. Travel doesn’t have to be expensive. Repeat that.Travel doesn’t have to be expensive. By investing just a little extra time into planning my trip, I was able to have a wonderful trip for around the cost of the going rate for a flight to London. You don’t need to spend thousands traveling. A vacation doesn’t need to cost an arm and a leg, and the next time you’re inclined to think so, just remember that yes, it ispossible to travel cheap, and anyone can do it. Note: One thing missing from this article is my conference costs. Most people don’t visit London for travel conferences, so I didn’t add any costs related to that conference to this post. Disclaimer: This content is not provided or commissioned by American Express. Opinions expressed here are the author’s alone, not those of American Express, and have not been reviewed, approved, or otherwise endorsed by American Express. This site may be compensated through the American Express Affiliate Program.